No matter the size of your company, you’re still at risk of becoming a target for hackers. In fact, 80% of companies say that their systems have been hacked. But it’s not just corporations that run the risk of having their login credentials compromised. Close to half of all American adults have had their personal information hacked in a single year. Whether you’re concerned about protecting a corporate account, or your personal information, it’s always better to stay informed about the most common ways hackers can take advantage of you. Unfortunately, in today’s world, it’s easier than ever to compromise someone’s personal information with a single click. Are you doing what you can to protect yourself? In this post, we’re telling you the top 5 ways hackers can steal your login credentials. This is probably one of the most common ways hackers can take advantage of you. Essentially, these hackers send you emails and other forms of correspondence that encourage you to click on a link. Even if these links look legitimate (and many times, they do) in reality, the websites are just fronts for hackers. If you fill out a form or provide other personal information to a website, then you’re actually just handing over your login credentials to hackers. Then, they’ll be able to bypass your security information fairly easily. Since employees are often the main targets of these phishing scams, be sure to educate your team about what to look out for. Encourage them not to fill out any forms or click on any suspicious-looking links while on a work computer. Also called spyware, malware is a variety of software and formats that hackers use to steal your sensitive information. Basically, malware finds a way to install itself on your computer system without your knowledge. The malware may be able to log your specific keystrokes, remember your browser history, create nefarious pop-up windows that can spam and destroy your computer, and of course, get your login credentials. Once malware gets on your computer system, you’ll usually need specialized tools and professional services to get rid of it. We all do it – give out our personal information to other websites. Some of them are secure websites, and others…not so much. Often, we can’t avoid signing up for a LinkedIn account or ordering takeout online, but you do need to be aware of what can happen if the data you’ve given to other websites is compromised. Basically, hackers can get into popular websites and steal your personal login information. This can happen through remote file inclusion, SQL injections, and lots of other ways. However, once hackers have your information, they’re going to share it, and even post it, on other websites that hackers frequent. This is why it’s so important not to use the same passwords for multiple accounts and websites. Because if a hacker has one password, then they’ll have them all. Another tough hacking reality check? Sometimes, the passwords you choose aren’t exactly the strongest options out there. This often means that all you’re doing is making a hacker’s job easier. Think about it: how many times have you forgotten a password, only to be able to guess it within a few tries? Sometimes, that’s all a hacker has to do to get into your personal information. First, you need to make sure that you’re not using a password that you know is especially common. Hint: If your password is “password” or “letmein,” you’re doing it wrong. Keep in mind though, that hackers themselves aren’t the ones sitting at their computers all day, desperately trying to break into your account. Instead, they download incredibly accessible and sophisticated tools that systematically enter in common password guesses, or variations on other passwords of yours that they already know. Often, this process can take as little as 24 hours to complete. First, always make sure that you’ve chosen passwords that are difficult to guess. Include a variety of letters, numbers, and special characters. Also, make sure you’re updating your passwords frequently – and encourage your employees to do the same. That way, hackers will have a much more difficult time trying to guess your passwords. In today’s world, you likely don’t do your work only at the office. While working from home, or working from anywhere, comes with lots of added benefits, it can also be a real security risk. Case in point: the double-edged sword of public WiFi. While obviously incredibly convenient, it’s also a threat to your company’s credentials. When employees connect to public WifFi on their work computers, pretty much anything can (and does) happen. If you or your employees enter in any login information while on public WiFi, those passwords could easily be compromised. Usually, this happens through what is known as “traffic monitoring.” Essentially, hackers download an application that lets them keep an eye on all the public network traffic. They’ll even get a notification when someone enters their sensitive information into an application or website. Even if you vary your passwords from account to account, a hacker can easily get those as well. Who Can You Trust to Protect Your Login Credentials? 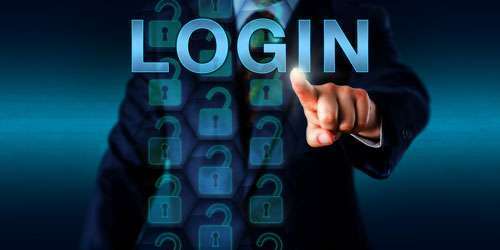 Unfortunately, in today’s world, sometimes simply knowing what you can do to safeguard your login credentials isn’t enough. With hacking getting more sophisticated by the minute, it’s always a good idea to work with a professional IT Service to ensure that both your personal and professional information stays just that – yours. We offer some of the most competitive and high-quality security solutions and managed IT solutions on the market today. If it’s been a while since you’ve evaluated your security, if you’ve suffered from a recent hack, or if you’re just taking preventative measures, you don’t have any more time to lose. Get in touch with us today to make sure the integrity of the company you’ve worked hard to build isn’t compromised.